If what SaharaReporters reported is anything to go by, then Delta INEC and PDP have a lot to worry about. According to the NewYork based news media, an impeccable senior staff of the Independent National Electoral Commission (INEC) in Abuja has told them that at the headquarters of the commission in Abuja, the Certified True Copy of Card Readers record of accredited voters showed that Card Reader accredited voters for the April 11 elections was only 709,700 which is contrary to the Delta State INEC record, which put the number of accredited voters at 1,017,796. Below is how they reported the story. "A monumental electoral fraud in the April 11 Delta State governorship contest has been exposed. An impeccable senior staff of the Independent National Electoral Commission (INEC) in Abuja has told SaharaReporters that at the headquarters of the commission in Abuja, the Certified True Copy of Card Readers record of accredited voters showed that Card Reader accredited voters was only 709,700. This is contrary to the Delta State INEC record, which put the number of accredited voters at 1,017,796. This is significant because by himself, the Peoples Democratic Party (PDP) governorship candidate, Dr. Ifeanyi Okowa, grabbed nearly 15,000 more votes all by himself: 14,980 votes. Announcing the result of the governorship contest on April 13, the Returning Officer, Prof. Bio Nyananyo, said Okowa had polled 724,680 votes to beat his closest rival, Chief Great Ogboru of the Labour Party, who got 130,028 votes; while Olorogun O’tega Emerhor of the All Progressives Congress (APC) finished in the 3rd position with 67,825 votes. Furthermore, Nyananyo said Okowa had won in 21 local government areas out of the 25, while Ogboru clinched the remaining four. 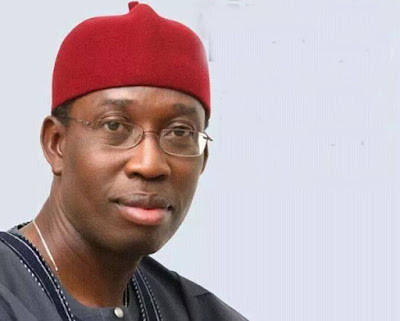 "Okowa, having won the highest votes in the elections, which was contested and having satisfied the provisions of the law is hereby returned as winner and governorship-elect for Delta,” the professor said. “18 political parties participated in the governorship election while there were 2, 044,372 registered voters and 1,017,796 accredited voters. The exercise recorded 931,808 valid votes while 24,913 ballots were rejected." By the professor’s announcement, Okowa had 14,980 votes more than the number of accredited voters in the entire state. "I can authoritatively tell you that the card reader usage [has] really exposed so many frauds as far as the governorship election was concerned in Delta state, the details of the results at the Independent National Electoral Commission (INEC) Headquarters in Abuja is at variance with INEC records in Delta State,” our source said. “The Certified True Copy of Card Readers record of accredited voters as transmitted by the card reader to the central data collation system is 709,700 voters while the records of Delta State INEC office is showing that accredited voters was 1,017,796." This development at INEC Headquarters, our correspondent learnt, has given credence to the concerns raised by Chief Ogboru and Olorogun Emerhor that the governorship contest was marred by fraud. Both candidates called for an outright cancellation. Speaking during a press conference shortly after Okowa was declared the winner, Ogboru said, “We have recorded series of irregularities in five councils including parts of Ethiope East, Bomadi and Ika North East. PVCs were brought in their hundreds and used to vote without being authenticated by the card readers. "We are having mixed feelings about the elections and are documenting these observations. From the records collected from our agents we actually won in 15 local government areas, but the results announced showed otherwise." Ogboru therefore called for the cancellation of the collation, saying that the people of Delta State could no longer accept the tyranny of a group of individuals in the state which began 16 years ago. In the same vein, APC’s Emerhor also described the election as a fraud that had no bearing to the will of the electorate. And taking a swipe at the Labour Party, the APC candidate said: “Very soon, the Labour party, in their naivety, even though already calling for a cancellation of the election, will begin to gloat over their higher votes over APC. The truth however, is that these figures are not votes and we in APC vehemently reject the votes allocation." After calling for the election to be canceled, both candidates took their case to the tribunal. SaharaReporters has learnt that Okowa is currently recruiting the services of some wealthy and influential Nigerians to help protect his electoral victory."